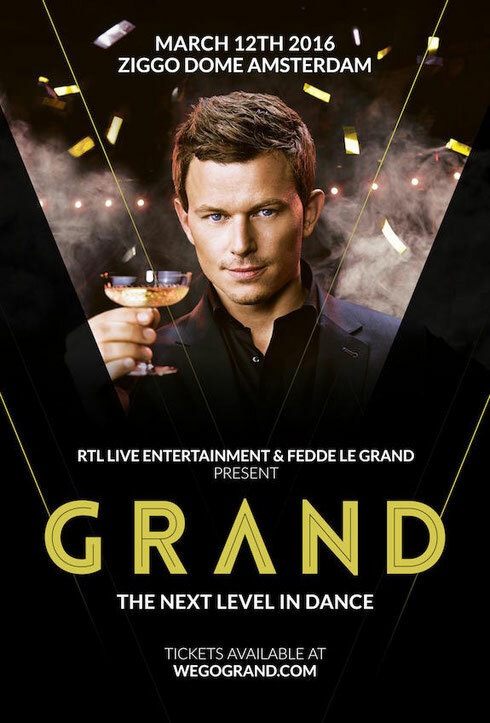 On 5 February 2015, Fedde Le Grand performed GRAND, an audio-visual show at the Royal Theatre Carré in Amsterdam. The historic location played host to Le Grand’s theatrical show over a six date, back-to-back run; blending live vocalists, moving stages, indoor fireworks and acrobats into a grandiose spectacle, all to the tune of his musical selection. Now this whole experience can be re-lived with an exclusive inside-look at the making of the show. For the first time, you can follow Fedde in the creation of the premiere edition of GRAND from its inception to the fall of the curtain on opening night. Documenting the auditions, radio appearances, rehearsals and more, viewers are taken on a 20 minute journey that follows Fedde and his team as they organise and integrate 30 Dutch show-ballerinas, live trapeze acts and a legion of break-dancers to form the spectacle of the concert. Preparations begin around a table as ideas and suggestions are bounced around the room by choreographers, creative designers, and representatives of RTL Live Entertainment. Once the general format of the show has been agreed casting follows, with a wide variety of performers showcasing their weird and wonderful talents to the judges. From fire breathers and contortionists to ballerinas and belly dancers, Fedde and his team do their best to sift through the talent on offer. With casting done, rehearsals get underway to make sure that all the visuals, music, choreography, and singers are interwoven seamlessly and that a balance is struck between the songs and the performers. After selling out all six shows earlier this year the only logical step was to put the whole thing on again a year later, but bigger and better than all previous shows combined. In March 2016 GRAND will be taken to the 17,000-seat venue of the Ziggo Dome in Amsterdam.